This was a participatory work for Hidden 2010 in Rookwood Cemetery. My grandmother lived around the corner from Rookwood for forty years and is buried there in a family plot. I used to visit her at home on weekends and do the gardening, and then we’d have a cup of tea and a biscuit as we chatted. I placed the three pieces of furniture my grandmother left me amongst the regular aluminium furniture in the Rookwood cafe, lent the cafe my grandmother’s crockery and baked fresh rock cakes every week in the cafe kitchen. 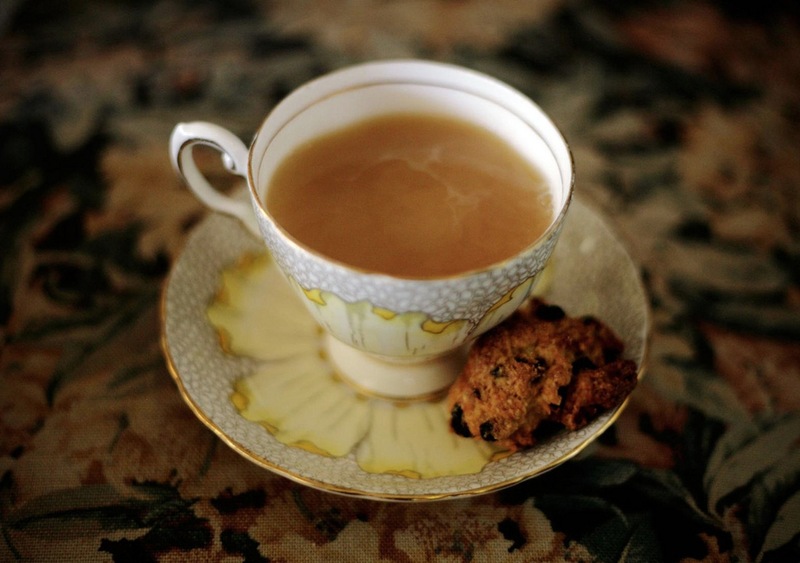 If people came to the cafe and sat in her chairs and asked for ‘a cup of tea with granny’ they would get their tea in granny’s cups with a free rock cake. I wrote the short sound piece below for the audio guide, which in my case people could listen to as part of the work.